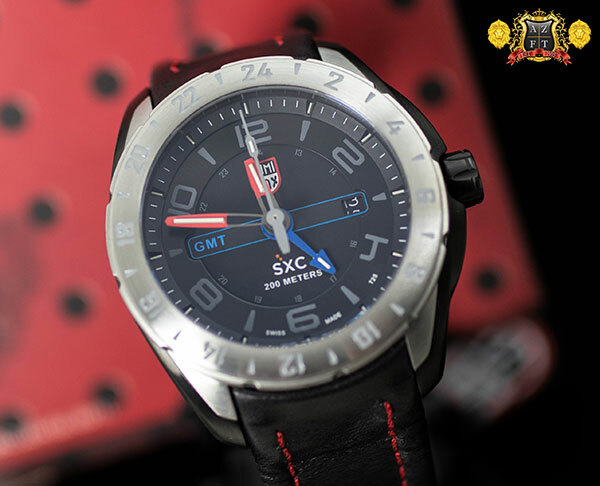 The Luminox Watch company is celebrating their 25th year in the industry with several new, noteworthy models. 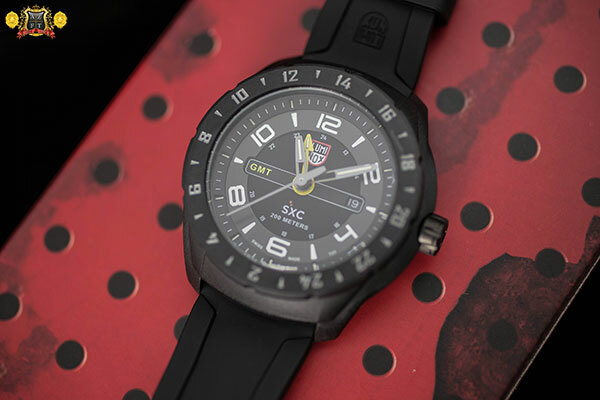 Rather than re-inventing the wheel, they are showing a few updated and new models that all feature Luminox’s signature self-powered illumination tech. 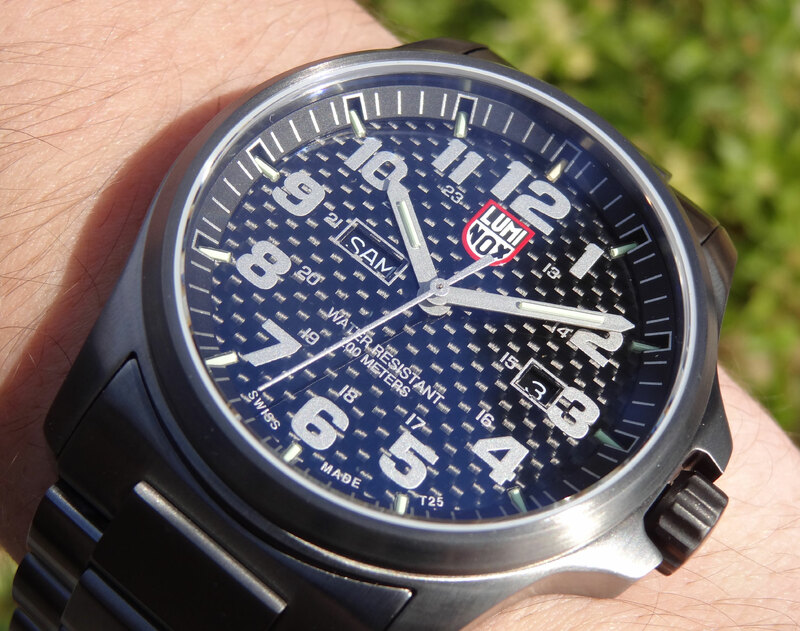 First up is the Scott Cassell UVP Special Edition watch…..
Luminox is going big this year! 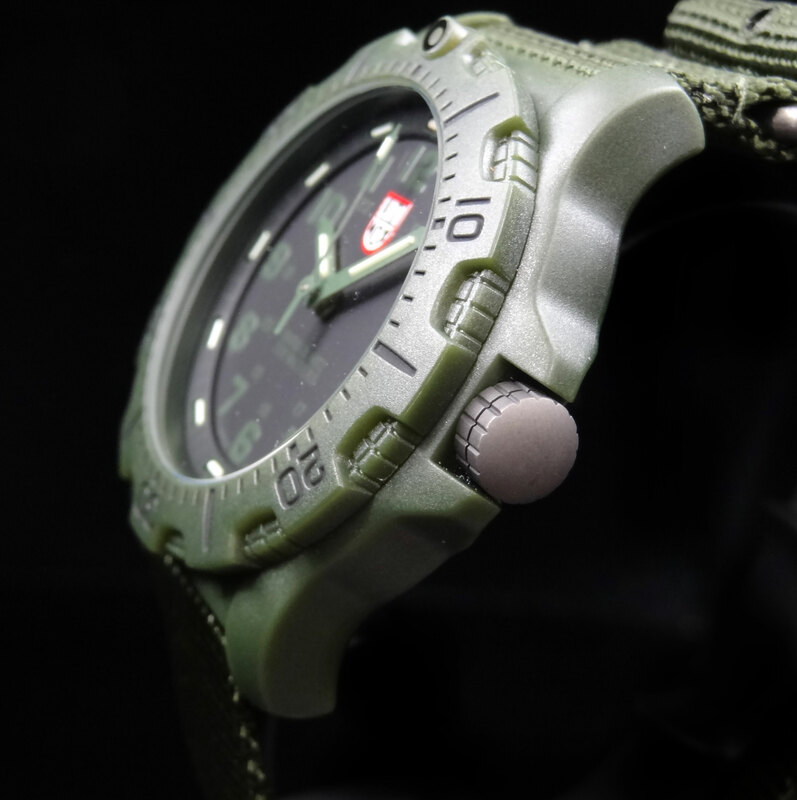 With some great new products, as well as great new partnerships, the brand is taking their portfolio from Land, Air, and Sea, all the way to Space. 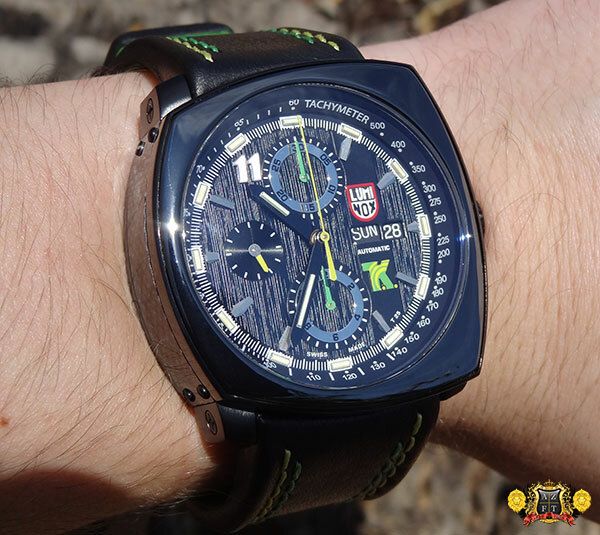 Before we get into space, I wanted to share a couple of excellent releases in their core series. 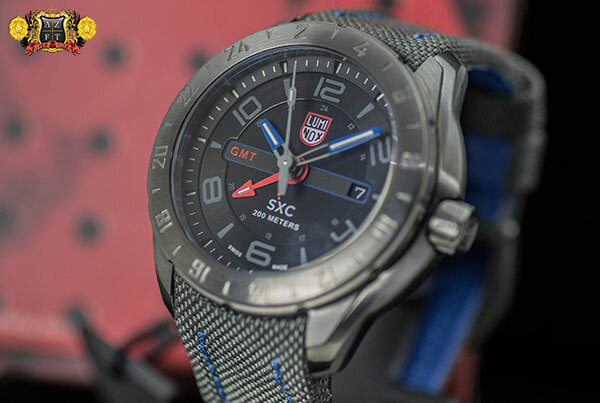 It’s hard not to know the watch brand Luminox. 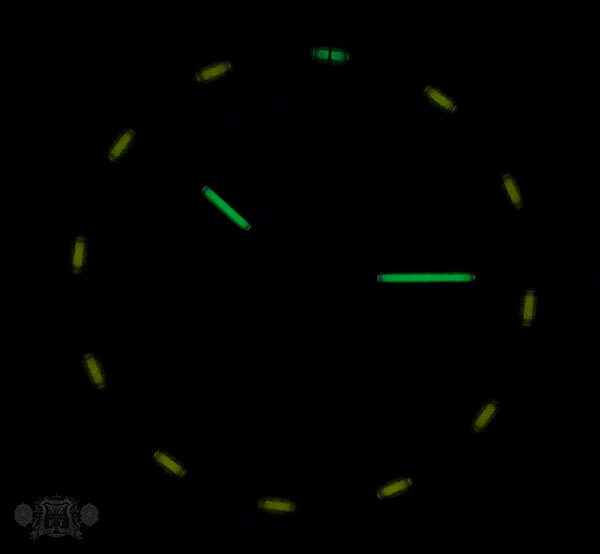 They’ve got an incredible reputation all over. 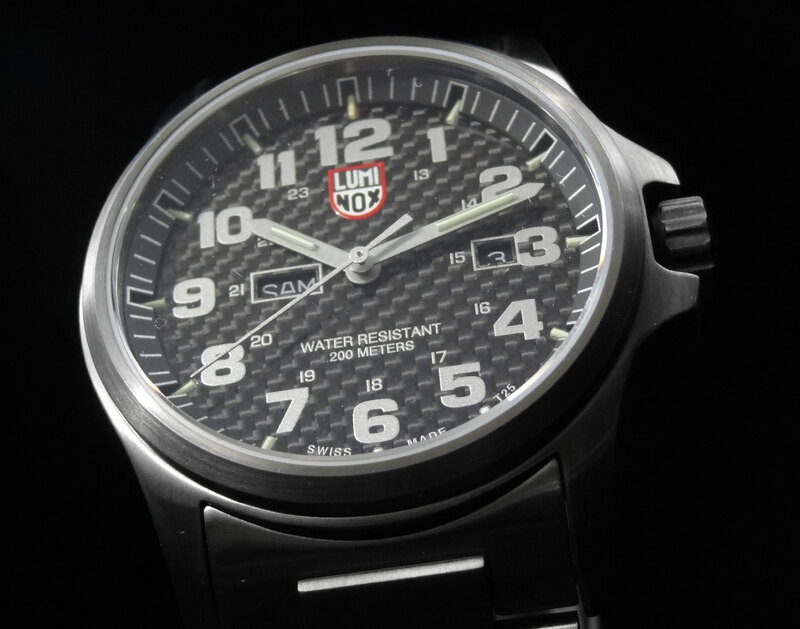 The name derives from Latin, Lumi meaning light and Nox meaning night. 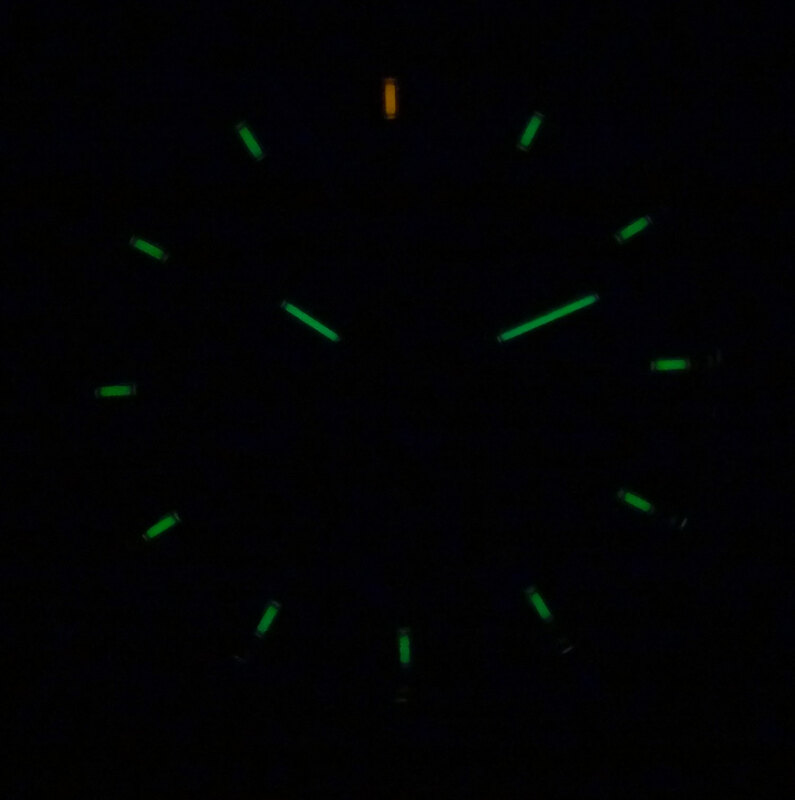 The perfect way to describe one of the coolest attributes of the watch is light at night, because these bad boys glow like crazy in the dark. 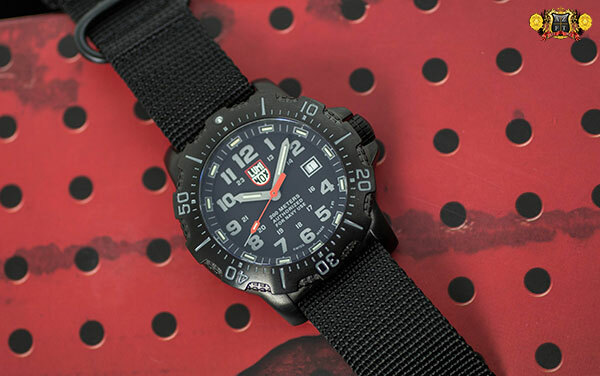 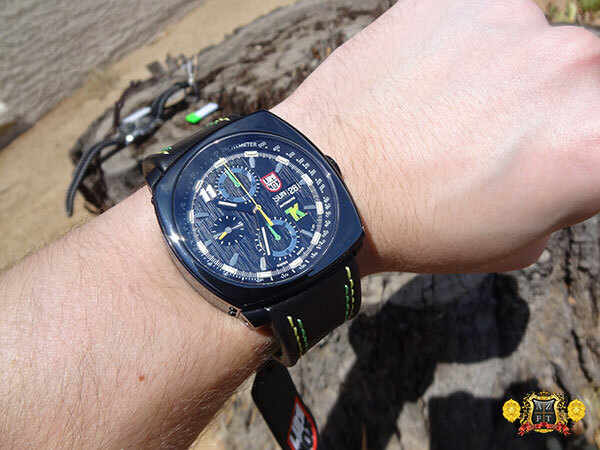 Today on the AZFT Blog, we bring you the new Luminox Black Ops Carbon A.8817.GO. 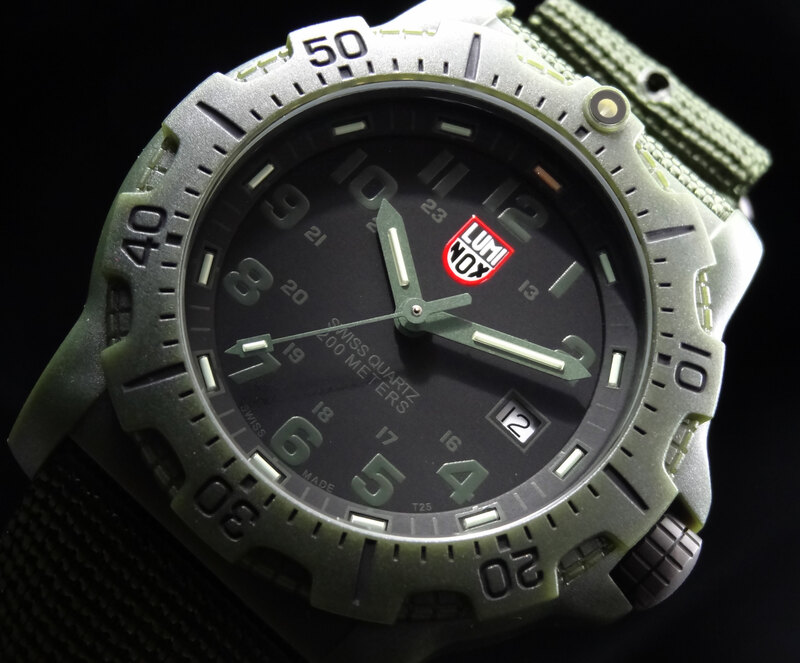 The A.8817.GO is a fairly new release from Luminox. 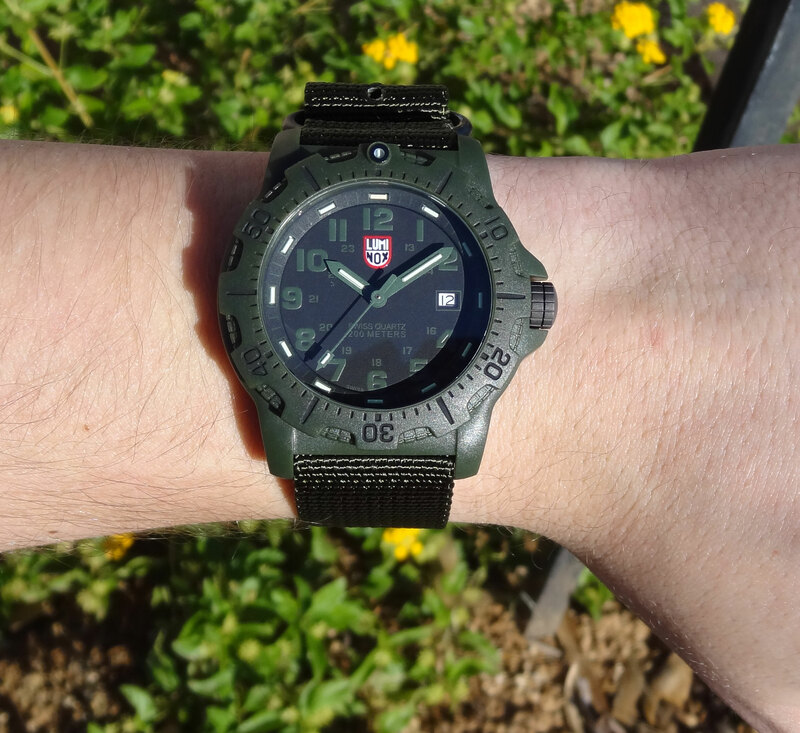 The 45mm case is an olive green polycarbonate that is carbon reinforced. 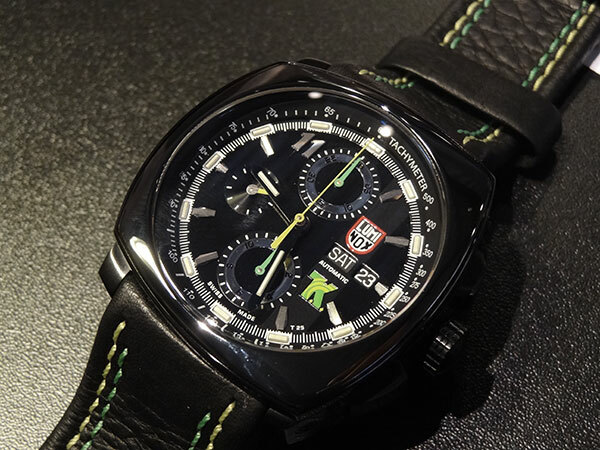 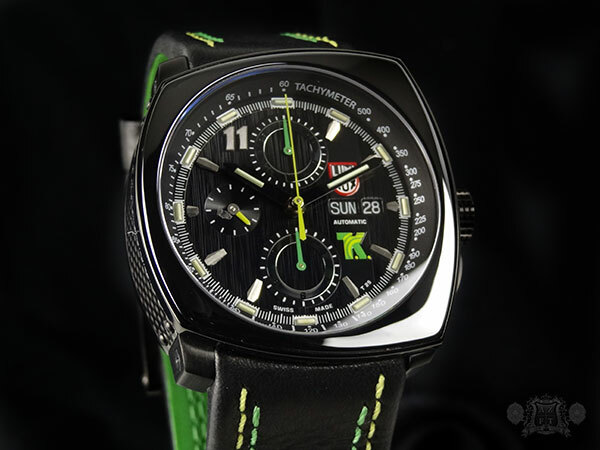 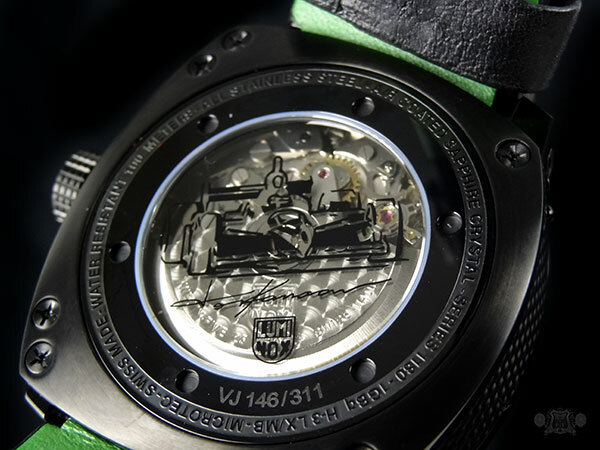 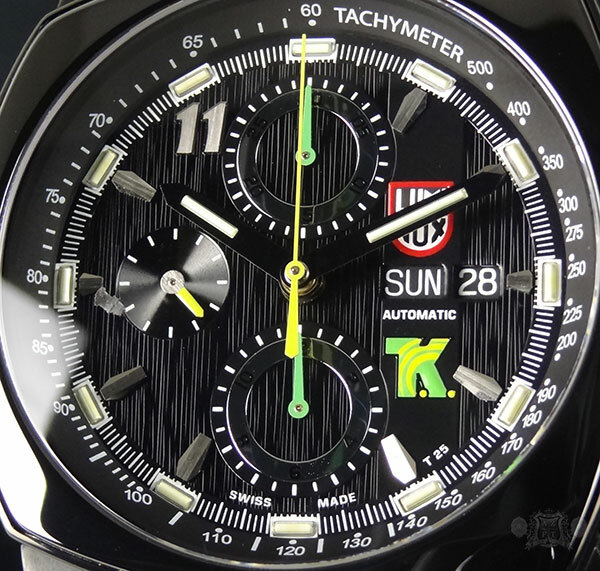 The hands and indexes are in a matching shade of green with a black dial. 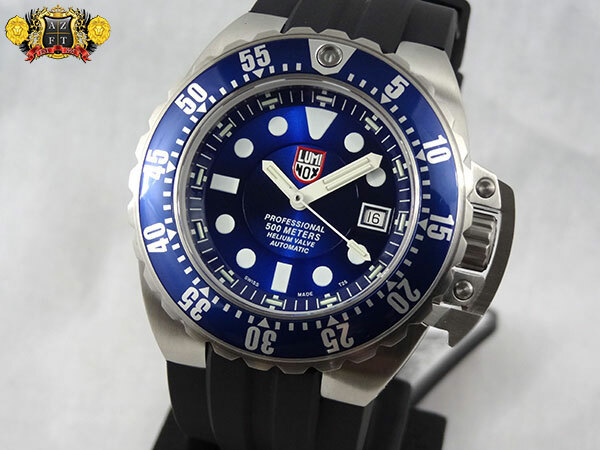 This definitely gives it the militant type look that Luminox is best know for. 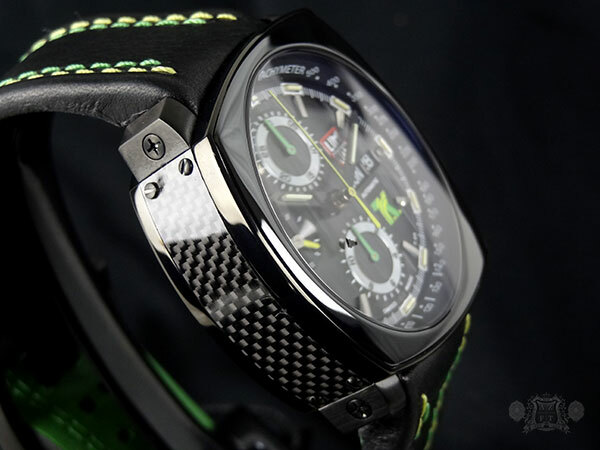 The zulu strap is also olive green with back coated buckle and loops, making for a secure wear. 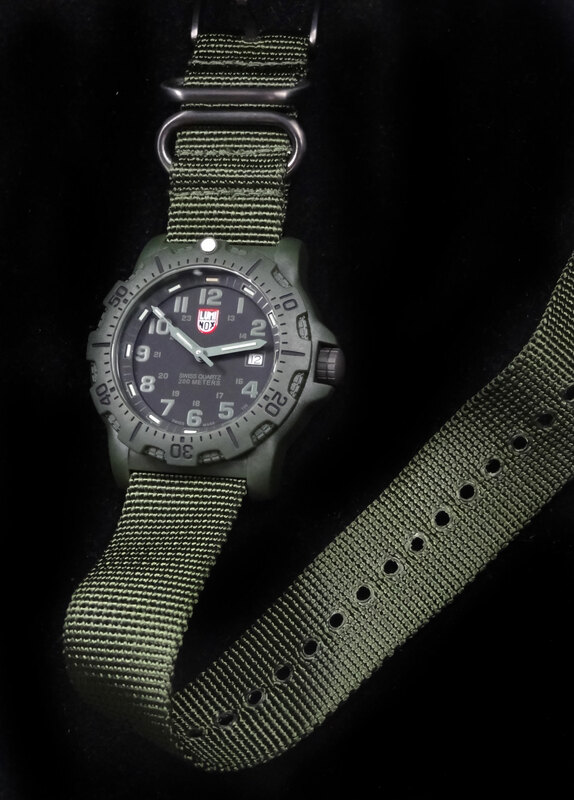 The overall look is very cool and while it has a military or outdoorsy look to it, can make for a fun everyday watch. 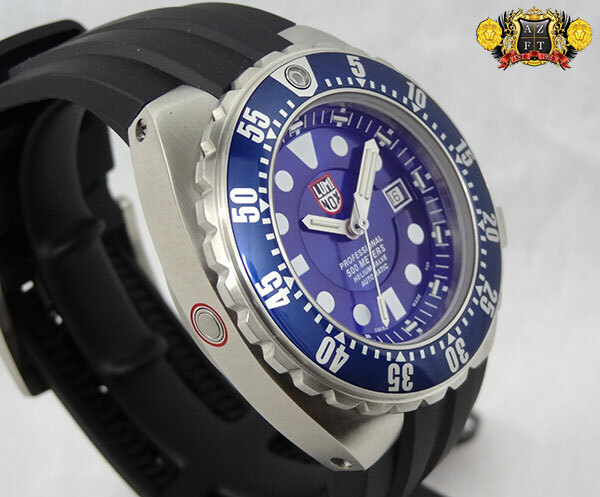 As with other styles of the 8800 series, this Luminox has a uni-directional ratcheting bezel for diving and the crown also has a double security gasket making it 200m water resistant. 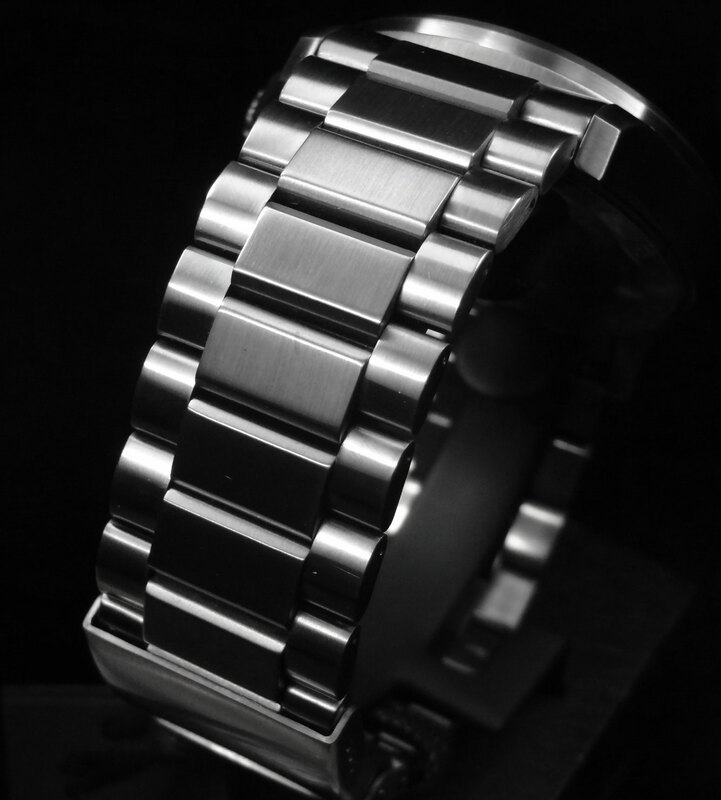 The crystal is a specially hardened mineral, while not completely scratch resistant, durable enough for decent amount of abuse. 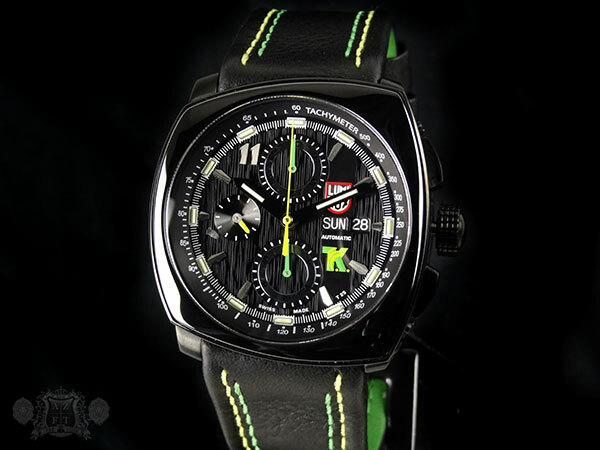 The basic 3 hand with a date movement is a Swiss Ronda 515 HH6. 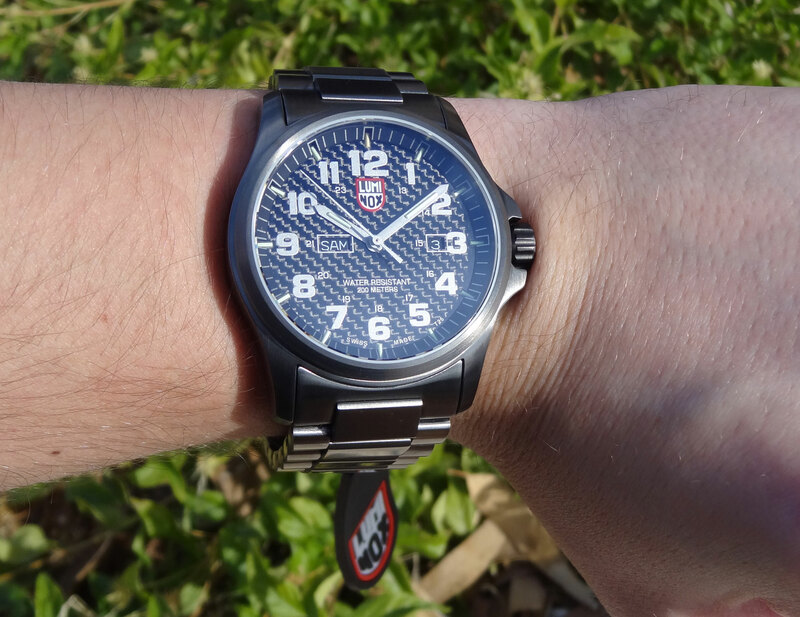 Being quartz also has a huge benefit when it comes to taking abuse. 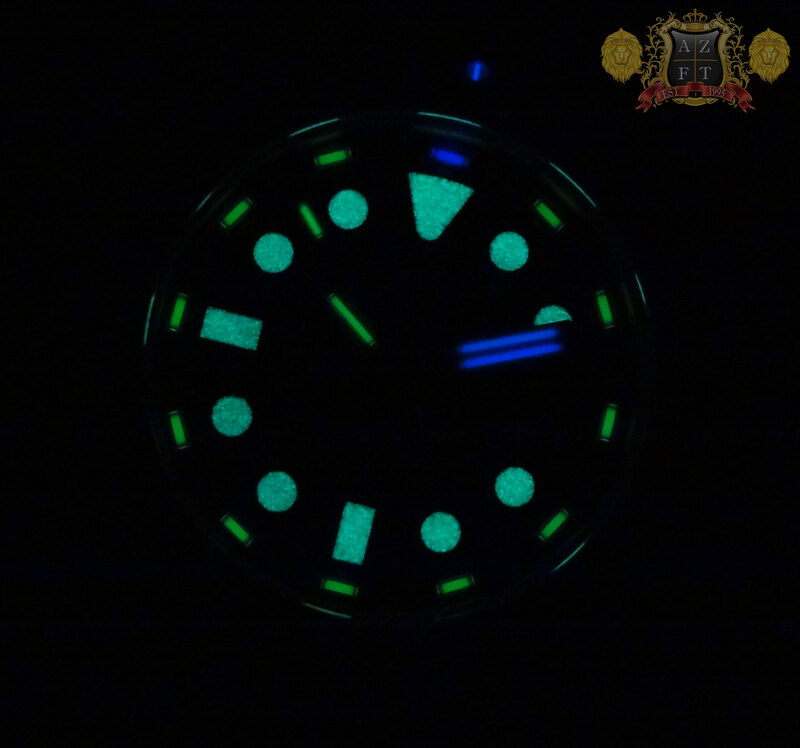 One of the coolest features of any Luminox is how they glow. 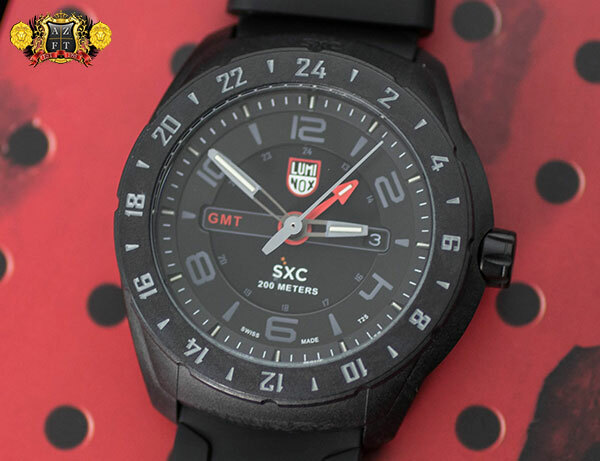 Luminox has a patented system using tritium gas in borosilicate glass tubes that allow the watch to emit a glow continuously all day for around 25 years. 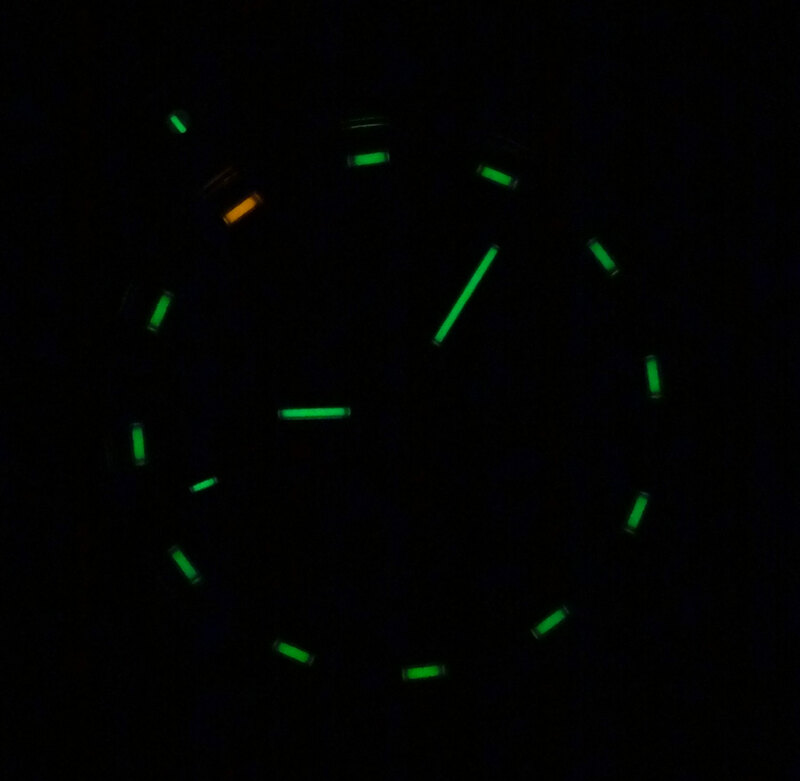 While it is tough to see in the light, the gaseous tubes glow low and steady and once in the dark, can clearly be seen. 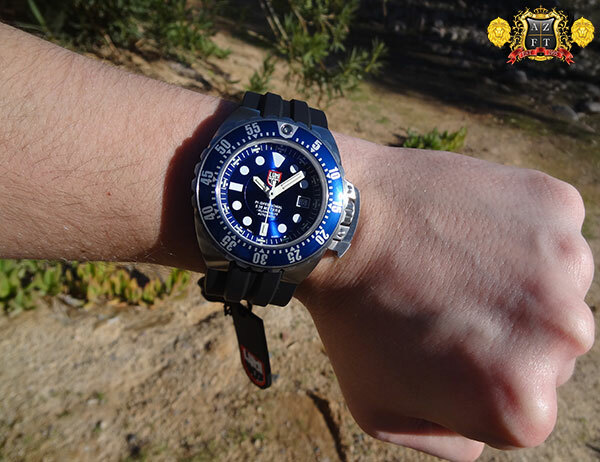 Borosilicate is used for its incredible strength preventing breakage and the tritium from escaping the tubes. 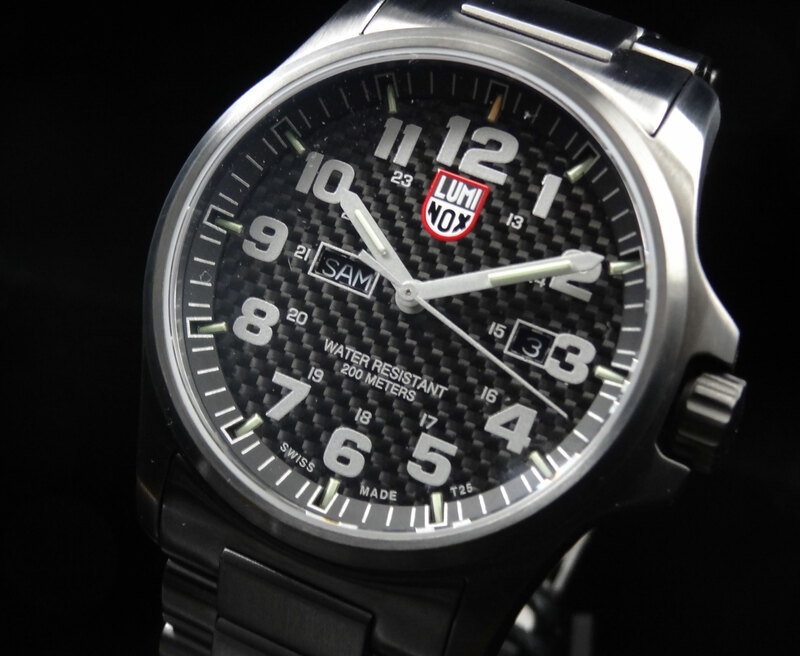 The Luminox Black Ops Carbon A.8817.GO is a pretty awesome watch especially considering the price. 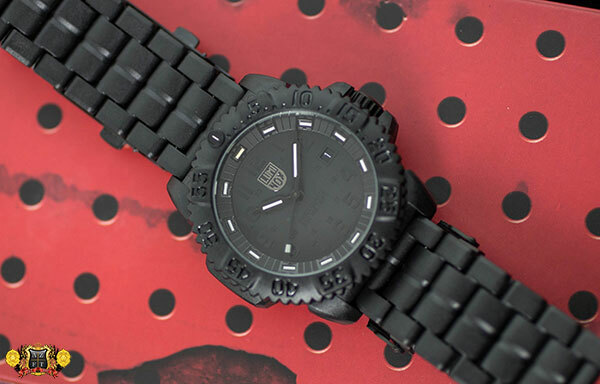 The retail is only $350 and can be purchased directly through our site for only $315 HERE. 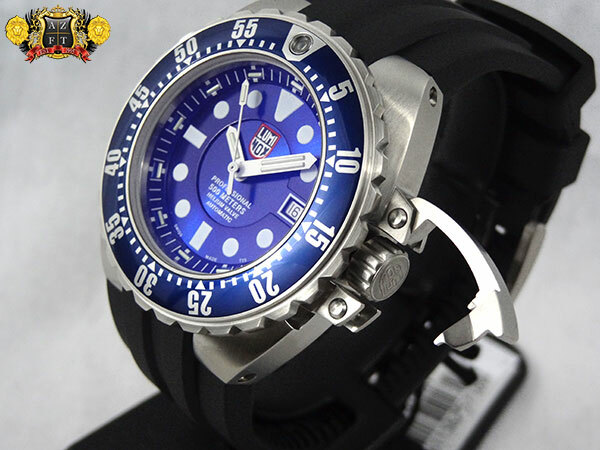 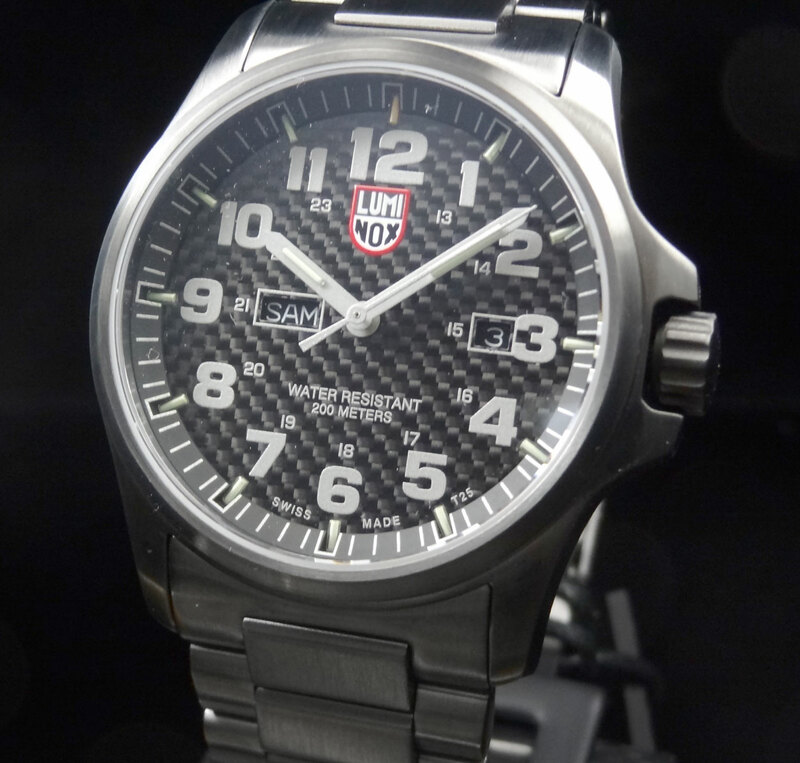 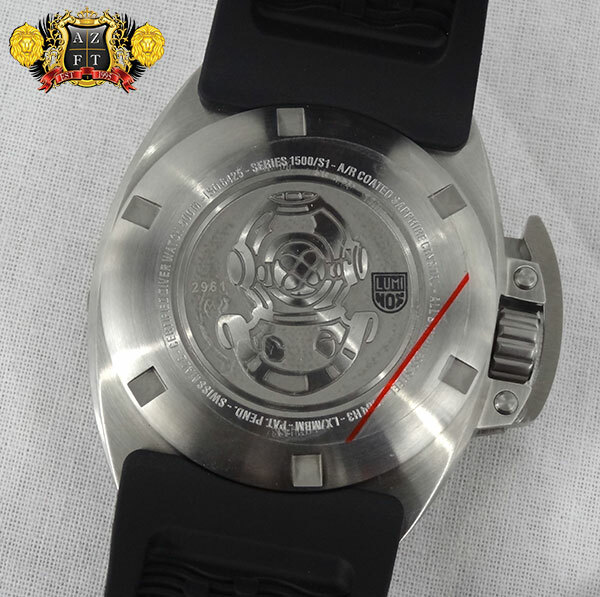 If you have any questions about this piece or any Luminox, please feel free to contact us at 1-800-486-3996.